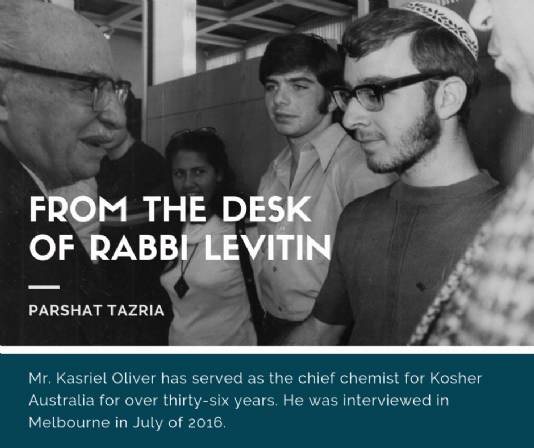 Mr. Kasriel Oliver has served as the chief chemist for Kosher Australia for over thirty-six years. He was interviewed in Melbourne in July of 2016. 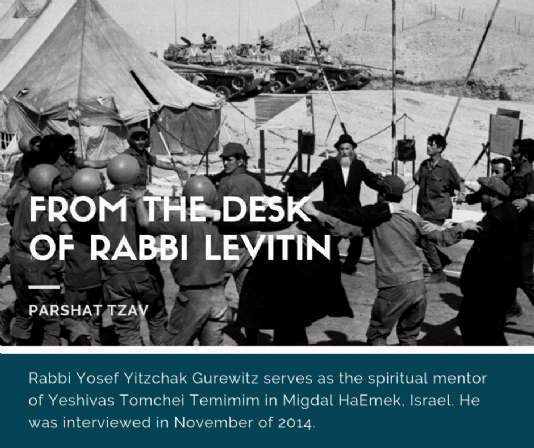 Rabbi Yosef Yitzchak Gurewitz serves as the spiritual mentor ofYeshivas Tomchei Temimim in Migdal HaEmek, Israel. He was interviewed in November of 2014. 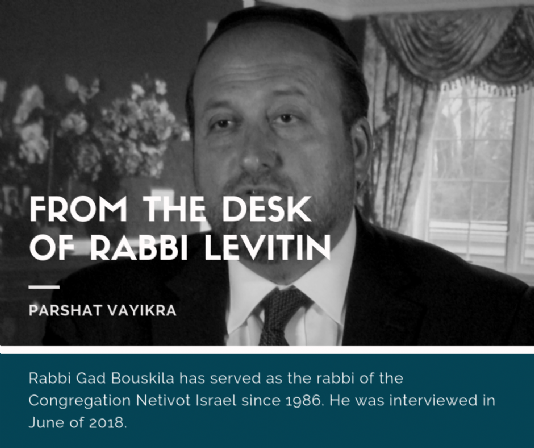 Rabbi Gad Bouskila has served as the rabbi of the Congregation Netivot Israel since 1986. He was interviewed in June of 2018. 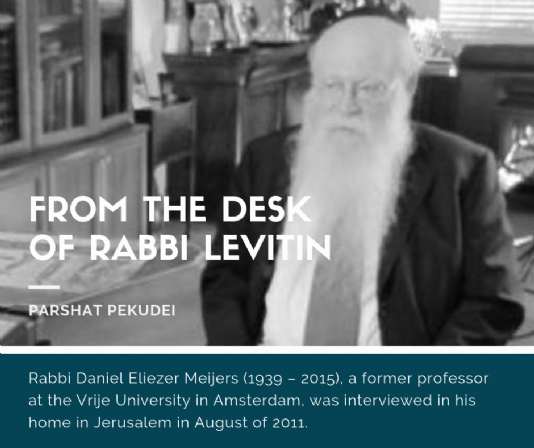 Rabbi Daniel Eliezer Meijers (1939 – 2015), a former professor at the Vrije University in Amsterdam, was interviewed in his home in Jerusalem in August of 2011. 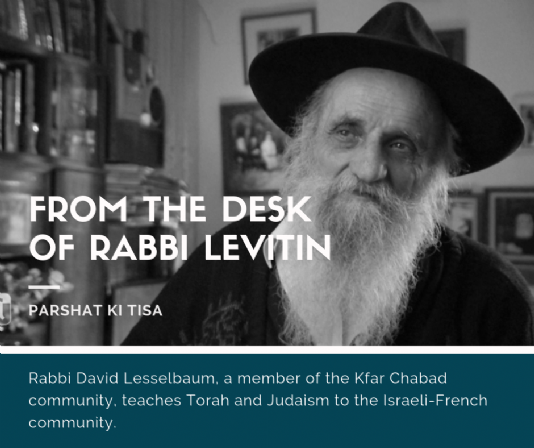 Rabbi David Lesselbaum, a member of the Kfar Chabad community, teaches Torah and Judaism to the Israeli-French community. 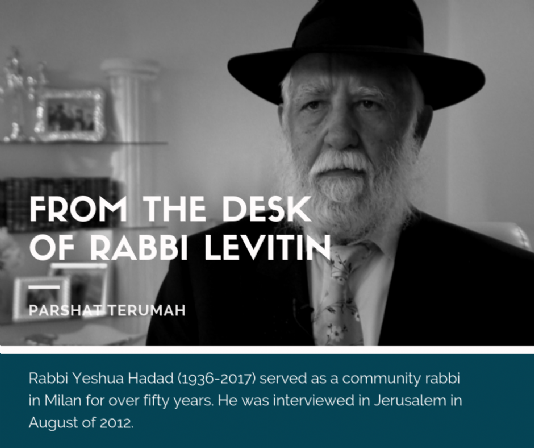 He was interviewed in his home in Kfar Chabad, Israel, in March of 2013. 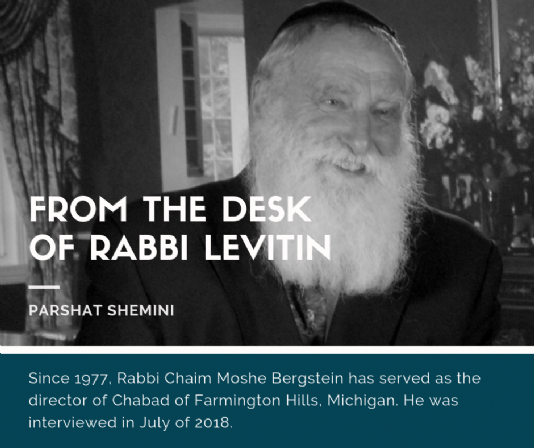 In memory of Rebbetzin Chaya Mushka Shneerson, OBM whose 31st Yahrtzeit was this past Monday, the 22nd of Shevat (Jan. 28th this year), we are enclosing an amazing story with Dr. Alan Newmark. 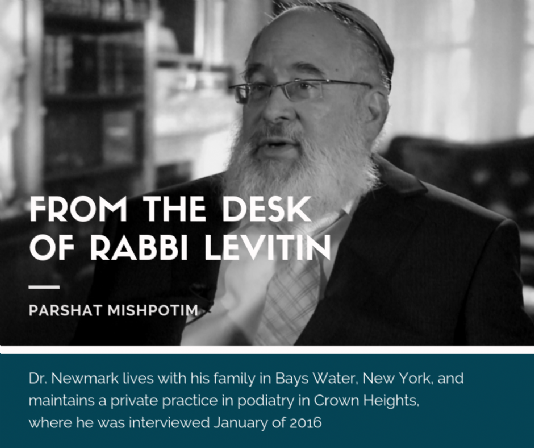 Dr. Newmark lives with his family in Bays Water, New York, and maintains a private practice in podiatry in Crown Heights, where he was interviewed January of 2016. 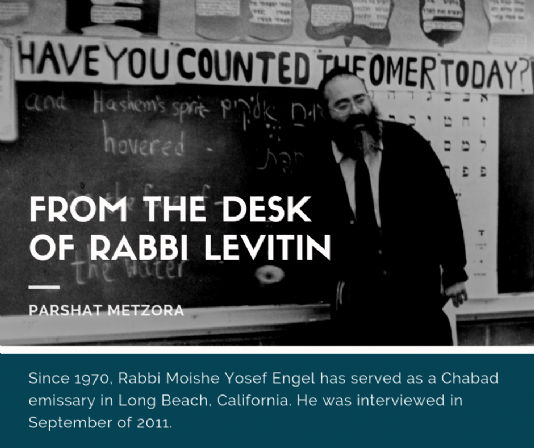 It was in the Fall of 1969, a few months after I was married, I had just joined the Main Chabad Kollel in Brooklyn, an advanced Torah institute for young married men, at the famous location of 770 Eastern Parkway. 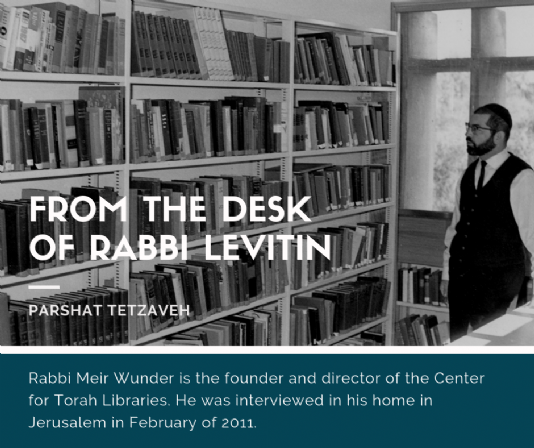 In the Yeshiva, pre-Kollel, there were two groups of seven advanced, scholarly presenters each. 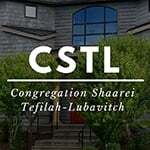 One of the seven from the first group would present a pilpul on Chassidic philosophy on Friday nights. The other group would have a presenter each week with a pilpul on the Talmud, codes, etc , following the conclusion of Shabbos, Saturday nights. On one Friday night, I stayed longer in Shul, because a young, brilliant, 19 year old student, named Nachman, was going to present that evening and I wanted to hear what he had to say (my young bride of 18 was not very happy when I came home two hours late to make Kiddush for her). He brought down the whole house. This week’s Parsha, Yisro, we relive the giving and the receiving of the Ten Commandments, which encompasses the whole of Torah and Mitzvos. I would like to share with you parts of Chapter 20 of the Holy Tanya, authored by Rebbe Shneur Zalman, the first Rebbe of Chabad. Now “this thing is known” (Isaiah 12:5), to everybody, that the mitzvah to accept only One G-d and the Biblical prohibition against idolatry which are the first two of the Ten Commandments, “I am G-d, your G-d” and “You shall not have any other gods” (Exodus 20:2-3) are a comprehensive statement which thematically incorporates the whole Torah, since the Commandment “I am G-d”, incorporates all the 248 positive mitzvos, and the Commandment, “You shall not have any other gods” incorporates the 365 prohibitions (Zohar 2, 91a). And that is why we only heard the first two commandments, “I am G-d, your G-d” and “You shall not have any other gods”, directly from the mouth of G-d, as our Sages, of blessed memory, taught, that G-d said just the first two of the Ten Commandments, and the remainder were transmitted by Moses (Talmud, Makos 24a), because for G-d to say the rest of the commandments was unnecessary, since the first two incorporate the whole Torah. In order to have a clarity in this matter, we first need to mention briefly, the concept and deep ideology of God's nonduality. In the Midrash, G-d is referred to as “the One and only one” (Deuteronomy Rabah, 2:31), implying that He is the only existence, and in the liturgy it is written, “Everyone believes of Him that He is the only One” - which implies that He remains now exactly the same as He was before the world was created when He was alone and there was no other entity in the universe, as we say, “You were alone before the world was created; You are alone since the world has been created” - which in the nondual reading means that He literally has not changed and G-d remains the only existence in the universe, even after He created the world, as the verse states, “I, G-d, have not changed” (Malachi 3:6). Because neither the creation of this world something-from-nothing, nor the creation of all the spiritual worlds, brought about any change in God's nonduality, for just as He was the only singular and exclusive existence before the physical and spiritual worlds were created, so too, He remains the only singular and exclusive existence after He created them. (Comment) But if the world does exist how can we say that God is the only singular and exclusive existence? Because, “in His presence everything is considered zero” (Zohar 1:11b) - literally as if it were “null and void” (see Isaiah 40:17). (Comment) The world does exist, but in G-d's presence it has no independent identity and existence, since it is perceived as part of his existence. For the cause by which the upper and lower worlds have come into being, something-from-nothing, and through which they continue to be energized and sustained in existence, so that they don't revert to the “null and void”, as they were previously, is nothing other than “G-d's word… and the breath of His mouth” (Psalms 33:6) which is present in them. Let’s draw an example from the human psyche. When you say a word, that single word is utterly insignificant, even in comparison to the lower “garment” of the soul, the general power of speech, which, of the soul’s three garments, thought, speech, and action, is its middle garment - a single word is insignificant compared to the soul’s power of speech since that power of speech can produce a never-ending, infinite stream of words. (Comment) Of what significance is one word when compared with the power of speech that can produce words endlessly? All the more so is that one spoken word insignificant in comparison to higher levels of the psyche, such as the soul’s innermost “garment,” thought, from which the spoken words are derived and powered. (Comment) If one word is insignificant when compared to the power of speech, and certainly it is of no significance compared with the power of thought, which produces all the content that is later spoken. And it goes without saying that a single spoken word is insignificant in comparison with the soul’s prelinguistic deep core, which consists of the ten powers mentioned above, - cochmah, binah, and da’as, etc. - since it is from these powers of the deep core that the letters constituting the thought are ultimately drawn, and are subsequently expressed in the spoken word. (Comment) Even in a human being we see that words of speech are utterly insignificant when compared to the higher powers of speech and thought, and certainly to the person himself, in his deep core. Apparently, then, we can say the same (even more so!) of G-d's “speech”, through which the world was created and is sustained in existence, that it is of no significance compared with G-d himself. (Comment) This adds a further dimension to our nondual understanding of the universe. In the previous section, we argued that the world has no independent existence since it is utterly reliant on G-d for its continuous existence. Here the argument is taking a step further: even the Divine power that creates the world (G-d's “speech”) is of no significance compared to G-d himself! In Summary, due to brevity, Nachman’s thought now has a context in the fundamental difference between G-d’s “being” and all other creations’ “being”. These topics we would discuss for many hours in the Yeshiva and Kollel, deep into the night, and walk out spiritually exhilarated, with a whole new “perception” of the creation around us. May I suggest that YOU open the Tanya and learn these chapters (21-22) for yourself? 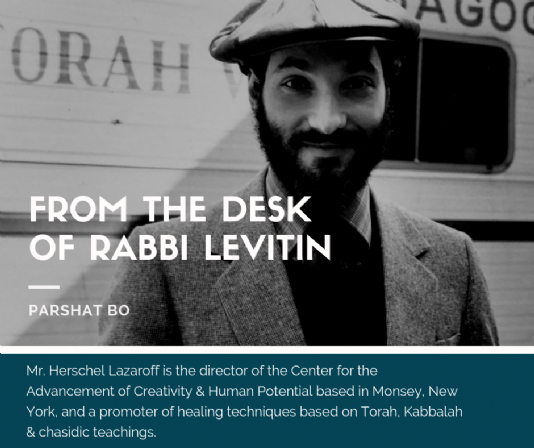 Mr. Herschel Lazaroff is the director of the Center for the Advancement of Creativity and Human Potential based in Monsey, New York, and a promoter of healing techniques based on Torah, Kabbalah and chasidicteachings. He was interviewed in July of 2018. 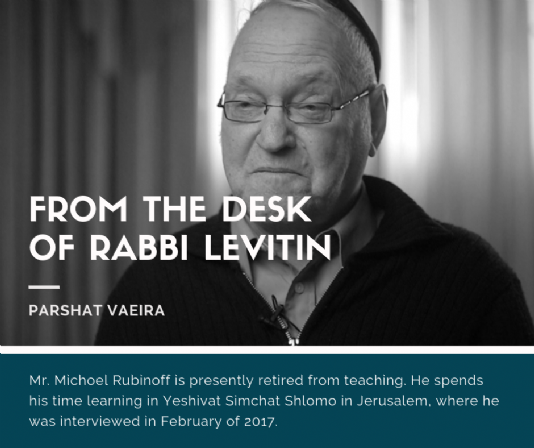 Mr. Michoel Rubinoff is presently retired from teaching. 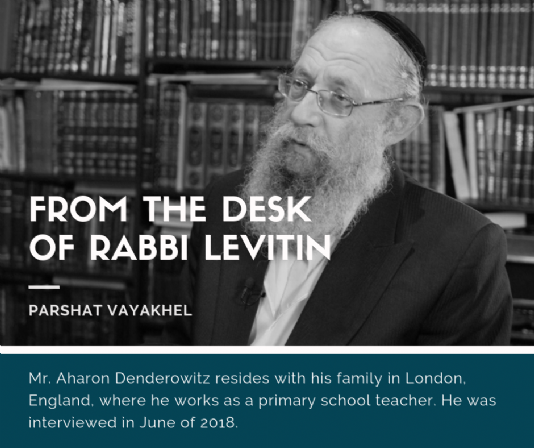 He spends his time learning in Yeshivat Simchat Shlomo in Jerusalem, where he was interviewed in February of 2017. 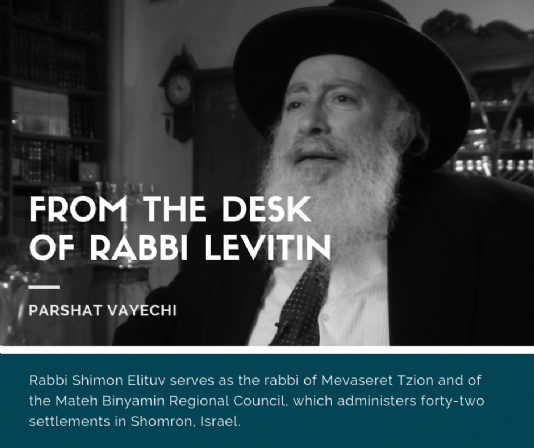 Rabbi Shimon Elituv serves as the rabbi of Mevaseret Tzion and of the Mateh Binyamin Regional Council, which administers forty-two settlements in Shomron, Israel. He was interviewed in his home in Jerusalem in February of 2013.